"Very beautiful earrings. Love the pink color." 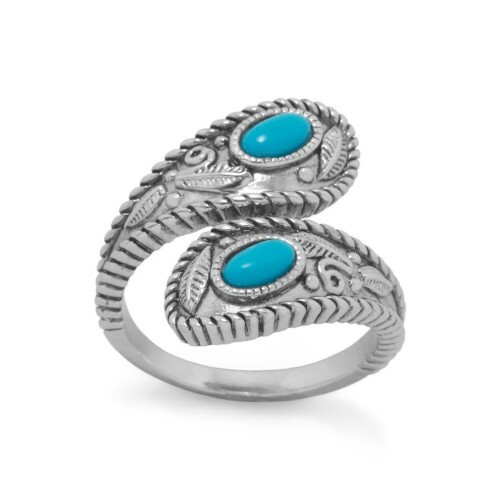 Rhodium plated sterling silver wrap ring with shiny antique finished roping edge and leaf design. The ring has 2 individual reconstituted turquoise stones measuring approximately 3mm x 5mm. This ring is available in whole sizes 5-9 with each size being slightly adjustable.